The Minnesota Zoo strives to maintain the highest standards of animal welfare/well-being, in order to meet the biological, behavioral and social needs of the individual animals. MN Zoo staff achieve this through behavioral husbandry, or animal enrichment and training. Behavioral husbandry aims to draw out animals’ natural behaviors and abilities with stimulating environments that provide the animals with behavioral choices and encourage them to explore and interact with their surroundings. 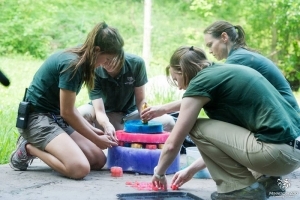 Behavioral husbandry begins at exhibit planning and continues with the day-to-day animal care provided by keepers and interpretive naturalists. 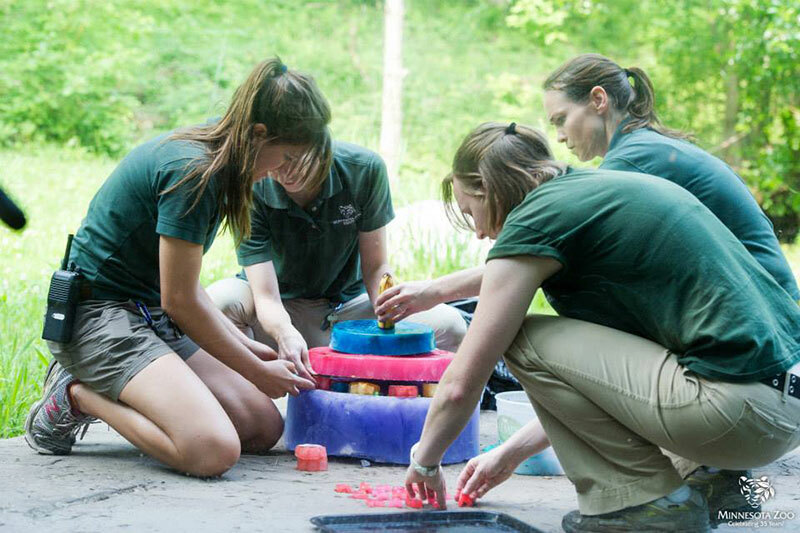 Behavioral Husbandry Interns will be assigned a specific animal (or species) from the Zoo’s collection, and will conduct behavioral observations, record and enter data, work on enrichment initiatives for these animals, and interact with guests by providing interpretive information throughout the Zoo.